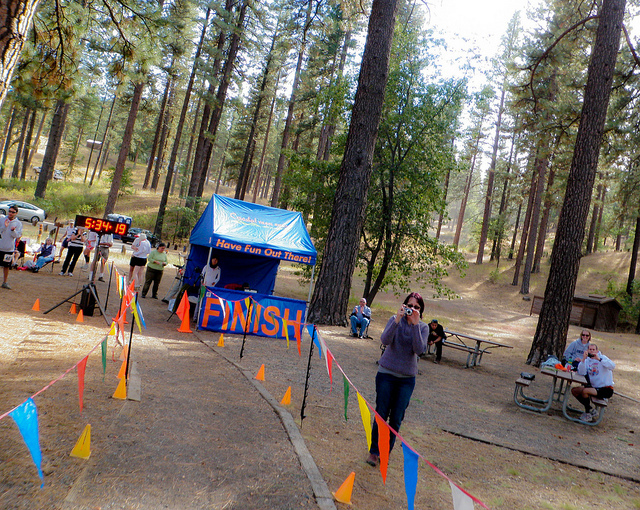 This year, October 13, 2013, was my seventh time running the Bizz Johnson Trail Marathon. My first time was in 2007 and I have ran the event every year since then. Last year I ran the 50K (31 miles), but it is pretty much the same course, just 5 miles longer. Has anybody reading this blog knows I have been in persistent atrial fibrillation for the last two years. For the 50K last year, and the marathon this year, I was in known atrial fibrillation. I am pretty sure that I went into atrial fibrillation about two thirds of the way through the 2011 marathon. At least (in retrospect) it felt that way, but that was before I knew I was afflicted with this dysrhythmia. 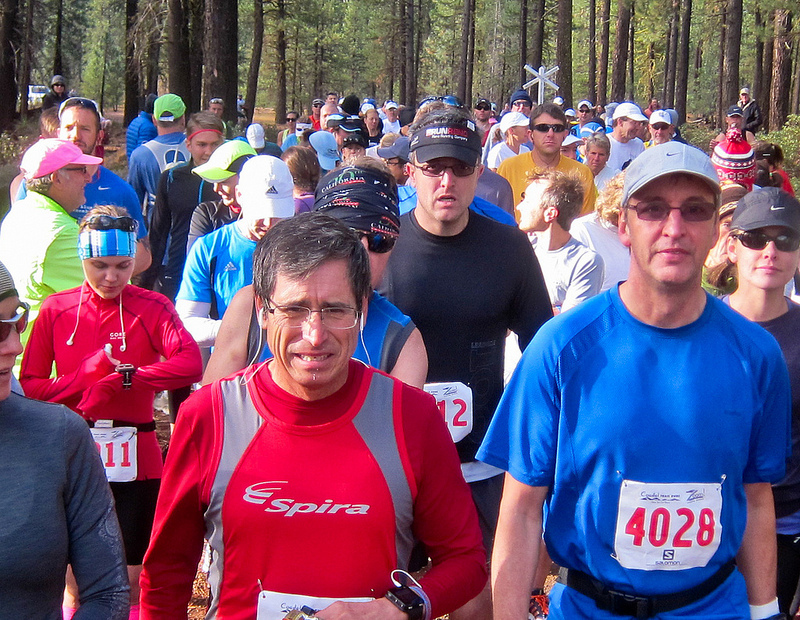 The course of the Bizz Johnson Trail Marathon is well known to me and I enjoy it a great deal. 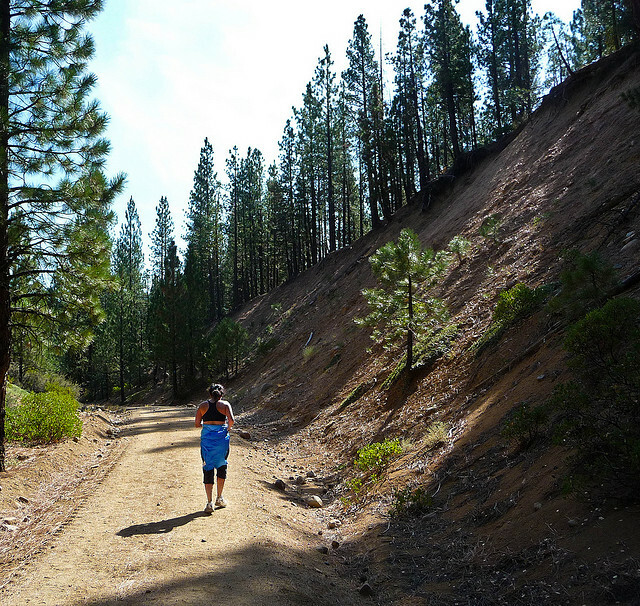 The Bizz Johnson Trail is a rails to trails project, and is about 24 ½ miles long. 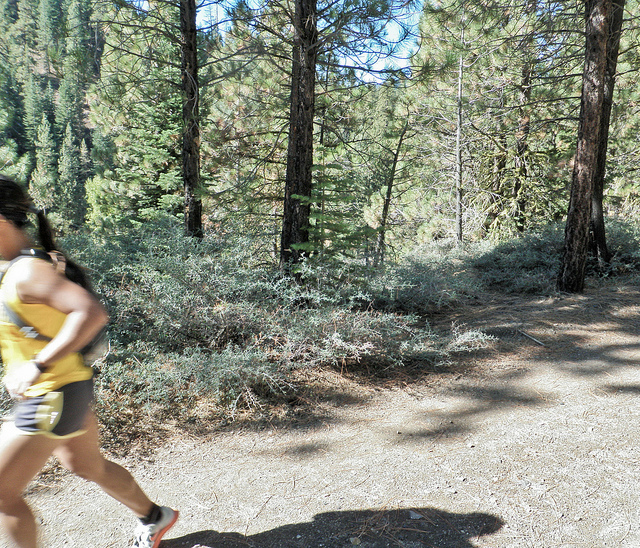 For that reason the race begins with an out and back on a Forest Service fire road in order to make the marathon and official 26.2 mile run. Once the runners get on the actual rail trail the course is a gentle uphill until about the 6 mile marker at which point there is a 20 mile downhill section. This might sound like it’s easy, but remember, it’s a run not a bike ride. This is the only race where afterward I typically have a lot of quadriceps and heel pain from all the downhill. Except for the portion where the trail crosses the Susan River Canyon the grade is very gradual. Trains evidently are unable to go up or down anything that is too steep, and the average grade is below 1%, and at its steepest probably about 2%. This is an estimate, I’m really not sure of the exact grade. One thing I can say, though, is that the steepest downhill is the last 6 miles down the Susan River Canyon. 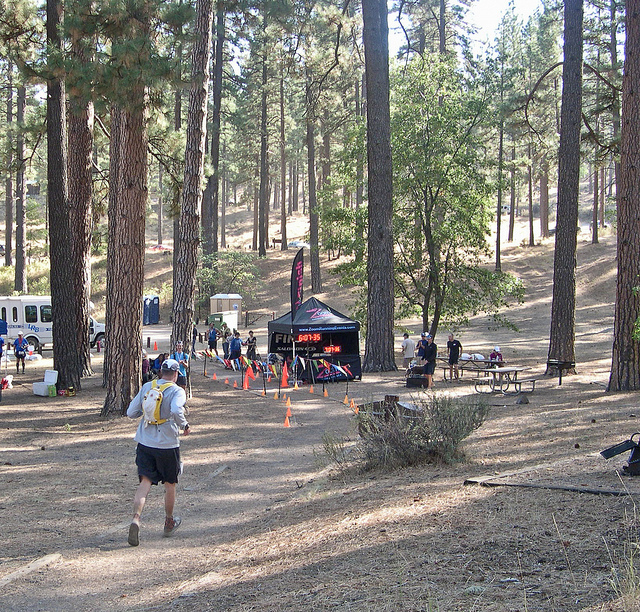 This is also where the course is the most scenic (including two tunnels) and often this section is quite warm. This year the deciduous trees were changing and it was quite beautiful. Some people worry about the elevation at Bizz Johnson, but to me that isn’t even a factor. I live and train at the exact same elevation as the Bizz Johnson Trail. As a matter of fact I do almost all my training on mountain biking and hiking trails which are much steeper and more technical than the Bizz Johnson Trail. I have to admit I had a bad time this year. I don’t think it had anything to do with the atrial fibrillation per se, I think I worked myself into a bad attitude, or bad mental state this year – ruminating over certain past events on the two and a half hour drive to Susanville the day before the race. Also I had trained for the 50K, but I really didn’t feel up to it and the day before the race I switched to the regular marathon. This probably was a good move, but I felt somehow depressed over that choice. I’m not sure how many marathons I have ran, but it’s somewhere between seventeen and twenty races. There comes a time in every marathon where I start to feel poorly, but usually I don’t start to feel that way until somewhere around mile twenty-two or twenty-three. 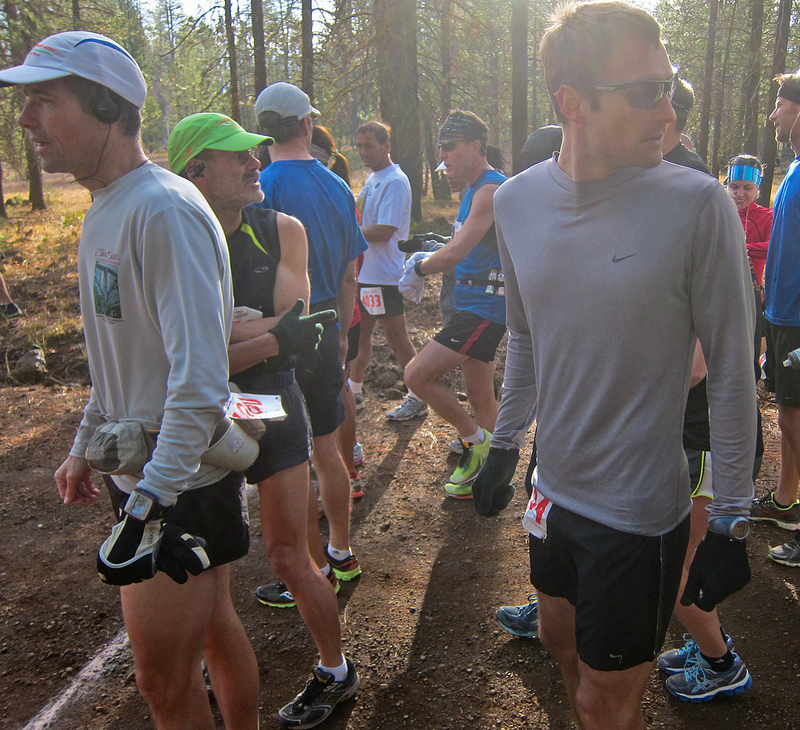 For some reason at this year’s Bizz Johnson I started to feel that way about mile six. “It’s going to be a long day,” I told myself. Ultimately I completed it, I suffered like an animal, but I lived to fight another day. It’s interesting that I finished it at almost the same time that I finished the 50K last year, that is taking into consideration that the 50K starts an hour before the regular marathon. My recollection of the 50K last year is that I felt much better, surprisingly, throughout the entire race than I have during any previous marathons. Maybe I should stick with 50Ks. My friend Stephen, who ran the race this year as well, said he suffered like an animal as well, and that “it seemed like every mile hurt.” But then again he finished several hours ahead of me, came in seventh place overall, and won his age group. It was probably worth it. Sometimes I wonder – am I good at marathons? Maybe. Maybe not. I’m certainly not fast. Seems like I did a good job, the night before, sitting in a motel room watching sitcoms. Maybe I’m better at something like that. Well, I guess I’ll have to keep trying marathons until I get one right. Being a veteran trail runner who has to be self-reliant, except during a race, I carry my own water. I use an Ultimate Design WASP hydration vest, with NUUN tablets added for electrolytes. I refill it at the water stops if necessary. This year, for some reason, I figured I should probably drink some of the electrolyte drink that they offered at the water stops in addition to my own concoction. I should have known better. It was a pink drink that is evidently marketed by the Power Bar company. I have never tasted a urinal cookie before, but I imagine that this pink sports drink is pretty close. Every time I drank a Dixie cup of it at a water stop I had to walk a little bit and try to hold it down. In other words I was having a lot of nausea. Being nauseous will not prevent me from drinking because I figure I can always drink more water if I vomit, but it sure does keep me from eating, so I was a little deficient as far as carbo gels were concerned. I think I only had two all day (and had planned on five). During last Sunday’s race I decided that the mile between mile marker twenty-three and mile marker twenty-four is definitely the cruelest mile. Suffering is maximized, and you’re close but not really close enough to the finish. If I tell myself, “it’s only three more miles!” I then start to think that three miles sounds like a terribly long distance. I enjoy listening to music on my iPod shuffle while I run and when I arrived at the last quarter mile of the race a terrific song came on my iPod. 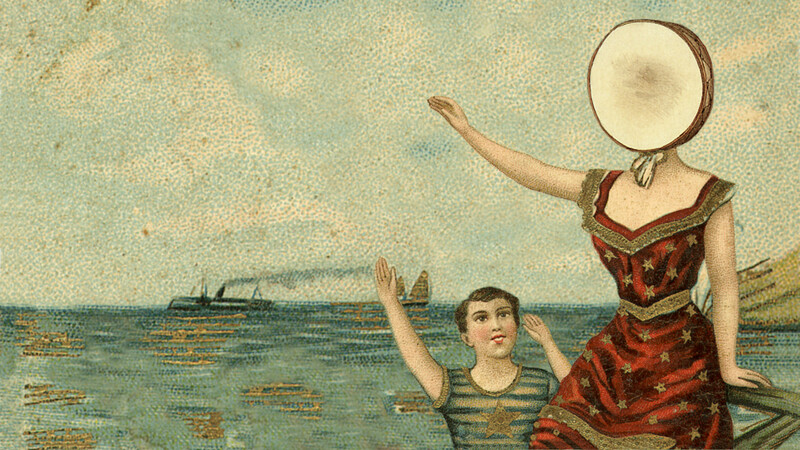 It was Oh Comely by Neutral Milk Hotel. Unfortunately I was feeling remarkably emotionally labile at that point in time that I knew that if I listened to the song I would start crying. I already knew I was suffering and wasn’t going to appear well coming across the finish line, but I really didn’t want to finish crying like a little kid – so I fast forwarded it. I clicked until I found a song that was a little bit more emotionally bland.